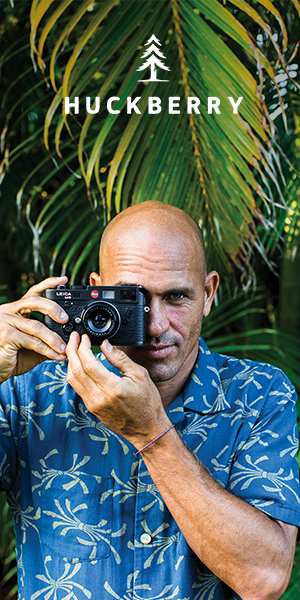 June 10, 2017 June 9, 2017 by Beau H.
From the mind of surfer Kelly Slater comes a heck of a stylish T-shirt via Outerknown. Get this one on your person! Is a T-shirt ever really just a T-shirt? Certainly not, especially if it’s the Outerknown Pagoda Stripe Tee — today’s choice #menswear pick for your reading (and purchasing?) pleasure. Why is it worth it to upgrade your T-shirt game — to the tune of a nearly $70 T-shirt from the fine folks at Outerknown and Huckberry? Well, riddle me this, folks: What’s an essential you can wear everyday, underneath everything from a slim light wash denim jacket to a breezy navy blazer and heck, all on its own? A well-made, modern-fitting and stylish T-shirt, that’s what. The Outerknown brand — and by extension, the Pagoda Stripe Tee — sprang from the mind of legendary surfer-turned designer Kelly Slater, and who knew he could put together such an essential, functional and wearable collection of #menswear? Surely, not me. You very well should recognize the brand’s tees from this site’s #OOTD on what to wear to a summer barbecue, and the Pagoda Stripe Tee would also make a fine addition to any casual summer wardrobe. Make no mistake, it certainly belongs on your list of summer style essentials. Why’s that, exactly? It starts with the eye-catching striped pattern and moreso with the neutral Whitewater color, incorporating easy-to-match white and tan stripes. The Pagoda Stripe Tee is a perfect example of the dusty tones that are such a welcome change of pace from bright blues and reds in the summer months. You could even team this tee up with a similarly earth-toned pair of chukkas, like the Astorflex Greenflex Suede Chukkas. Add in some slim light wash denim, and you’re set for a weekend coffee run, a casual Sunday brunch or a few patio brews. Subtle styling details and organic jersey cotton fabric make this tee a comfortable and environmentally friendly T-shirt option. As we said before though, a stylish T-shirt is never really just a stylish T-shirt. In the case of the Pagoda Stripe Tee , that’s only a positive. Outerknown joins the ranks of brands doing their part to make the industry more sustainable and stylish in the process — this tee is made with organic jersey cotton for breathability, comfort and an eco-friendly production process. And the jacquard stripe pattern is a step up from your average white tee in terms of texture, style points and easygoing versatility. If you’re wondering how to wear this T-shirt, fear not. Again, you could throw this tee on as is, or you could slip the Outerknown Evolution Shirt Jacket over it on a breezy summer evening. From city to country and campsite to your favorite bar back in town — busy, busy — it can take it all on in style (at least, your Style Guide author thinks so). Plus, its retro and slightly boxy fit is just a bit different than a plain white tee — feel free to roll up those shirt sleeves a bit, and you’ve got my full permission to perform the J. Crew tuck (T-shirt style, that is). Are you a fan, and will you be picking up the Pagoda Stripe Tee this summer? Chime in over on Twitter — and as always, you can check out how I wear my stylish summer shirts over on Instagram. Most importantly — thanks for reading! June 3, 2017 May 20, 2017 by Beau H.
Classic, stylish and easy-to-wear chukka boots via Astorflex, shown at the top right with travel essentials from Owen and Fred, Abercrombie & Fitch, Huckberry, Nautica, Herschel Supply Co. and Electric Sunglasses. Is it just me, or is it time for a seasonal footwear upgrade? Something that’s not a sneaker, but not a rugged leather boot — something that’ll work for nearly every style situation, from a casual weekend barbecue to a stylish road trip. Who’s with me? Perhaps the Astorflex Greenflex Chukka Boots come to mind — no? I recently took my own pair on a spring road trip to Indiana, and can definitely vouch for them. They’re an updated take on the classic desert boot, crafted with a crepe sole, high-quality suede and the type of easygoing silhouette that pairs just as well with your favorite chinos as it does with slim light wash denim on breezy summer days. In fact, I’d hope you recognize the Astorflex Greenflex Chukka Boots as seen above from a few posts on The Style Guide. Namely, the rich Dark Khaki colorway seen here will work as you dress for Sunday brunch or look for ways to upgrade your casual shirt — don’t think you should shelve all of your chukka boots entirely just because the thermostat starts to climb. And know that these Astorflex chukka boots also come in the equally versatile Stone and Grey colorways. Indeed, with a blend of comfort, style and accessibility, the Astorflex Greenflex Chukka Boots — just like the brand’s Astorflex Chelsea Boots — are a seasonal must-have in any color. Trust me: That goes for spring, summer and fall. Seriously, keep them on hand to wear with a rugged chambray shirt and dark selvedge denim to a fall tailgate — it’s a winning combo if you’re looking for insight into how to wear chukka boots. But, back to matters of summer style — what makes these a must-buy? For starters, it’s tough to find a chukka boot that features eco-friendly, handmade Italian construction out there — let alone with a sub-$150 price tag. And to find one that goes with everything from slim stone chinos to dark denim to slim light wash jeans in the summer can be tricky, too. That easygoing versatility is what sets these Astorflex Greenflex Chukka Boots apart in so many situations. Rather than resorting to minimal athletic sneakers, jeans and a slim pocket tee, try out these chukka boots and perhaps a tough dive watch — instant style upgrade in the making, and certainly one of the best men’s style moves you can make. And because they’re sold via Huckberry, you can be sure that they’re up to snuff in terms of quality and great looks. It’s also worth noting that the desert boot is a stone-cold classic silhouette — as if you needed another reason to buy these. In addition to real-life functionality for British soldiers, they’ve gained an iconic status — up there with classic white sneakers — that’s tough to top on the footwear front. So, despite summer weather finally catching up to us … there’s no reason not to wear a classic pair of desert boots like the affordable, easy-to-wear and stylish Astorflex Greenflex Chukka Boots. How would you style these boots? To pick up inspiration from yours truly, check out my Instagram. And send me a note on Twitter if ever you have #menswear questions. May 6, 2017 May 5, 2017 by Beau H.
Grooming essentials from Oars + Alps paired with weekend essentials — the Owen and Fred Brass Bottle Opener and Graft Lantz 1951 Traveller Bag among them. We’ve talked quite often in our Style Pick of the Week series about men’s style essentials you need to have on-hand in your closet — be it a lightweight nylon jacket or versatile spring sneakers. But what about your … medicine cabinet? Effective men’s grooming products tend to be an area most of us guys overlook — it can be an overwhelming field to dive into, what with a plethora of options and brands big and small out there. Yes indeed, keeping it simple can sometimes pay off. In that vein, the Oars + Alps Athlete’s Grooming Kit is simplicity defined for the guy who wants to upgrade his grooming game quickly and easily. Available via the brand’s Web site and the fine folks at Huckberry, it’s a quick and easy-to-use set of just three basics that you need now. While we’ve talked about the best men’s grooming products for winter, it’s just as important to keep your skin in shape during the spring and summer. And the Oars + Alps Athlete’s Grooming Kit is certainly made for the guy on the go, whether you fancy yourself an athlete or not. The kit features the crisply scented, effective Active Armor Deodorant, a 2-in-1 face moisturizer and eye cream — use a lighter amount under the eyes, a thicker amount on the face — and the unique Power Cleansing Face Stick. With that versatility in mind, there’s a great chance the Athlete’s Grooming Kit could be the most essential grooming move you make this season. Having had the chance to test out the line recently courtesy of the brand, I can certainly vouch for that — in fact, it might be among the best men’s grooming products for spring and summer. The full line-up from Oars + Alps — possibly your new favorite set of grooming essentials. At first glance, the Power Cleansing Face Stick seems a bit different — you rub the stick on your face (avoiding your eyes), and then rub the solution into your skin with wet hands. Sound odd? Maybe a little — but once you realize that the Cleansing Face Stick leaves your skin feeling refreshed and smooth, it’s easy to use. And the combination of face moisturizer and eye cream eliminates an extra step in the grooming process while hydrating your skin. Again, refreshing and smooth skin isn’t something you should let go in the spring and summer. And the Active Armor Deodorant proves that the Athlete’s Grooming Kit really is an excellent all-around grooming routine, what with its effective performance and crisp scent. While you might have the rest of your spring style essentials covered, the Athlete’s Grooming Kit can absolutely take care of your grooming needs all spring and summer long. The fact that the you can pick up the Athlete’s Grooming Kit for a low price is just an added bonus. And it’s a crucial reminder that even if you think you have everything covered, it’s best to go the extra mile with grooming essentials. If you’ve got more questions on the Athlete’s Grooming Kit, just drop me a line via Twitter. April 29, 2017 April 23, 2017 by Beau H.
First things first: Make no mistake, the United By Blue Wenlock Chambray Shirt could be your new favorite spring and summer shirt. That’s why it gets top billing as today’s Style Pick of the Week — despite a closely contested race, it came down to one vote …. yours truly. And if you’ve read this blog, you know that United By Blue is a company that gets a lot of things right, from stylish essentials to sustainability. 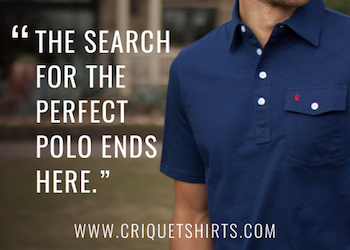 At any rate, it’s pretty essential to have a closet stocked full of stylish short-sleeve shirts regardless. And again, the Wenlock Chambray Shirt could just be that shirt. Think of a short-sleeve shirt as a slightly upgraded, more visually interesting version of your favorite summer polo — and for all those times when you want to throw on something nicer than a T-shirt, yet still casual, a piece like the Wenlock Chambray Shirt. It combines great looks, a unique lighter blue chambray fabric and a visually pleasing mini-plus sign pattern with the sustainable style for which United By Blue is known — and given that we just passed Earth Day, it’s perhaps more important now than ever to pay attention to where your clothes come from. So, know that with your purchase of the Wenlock Chambray Shirt, the brand will commit to remove one pound of trash from our oceans and waterways — not a bad pay-off for doing a little shopping, ehh? You get style points and sustainability — but lest we forget, the Wenlock Chambray Shirt still has plenty going for it in the looks department. A neat pattern, modern fit and sustainable style rolled into one package. For one, the mini-plus sign pattern on the Wenlock Chambray Shirt is a nice departure from plain chambray shirts (as stylish as those are). And the light blue color makes this one easily wearable with slim chino shorts and classic white sneakers — especially classic white sneakers. It’s also modern enough to wear to this office under a lightweight blazer for deceptively cool and casual style (thank the short sleeves for that). And when the work day is done? Slip off that blazer and step up to the bar, ehh? The great thing about the Wenlock Chambray Shirt is that it’s a reliable upgrade in plenty of situations — it looks just a little more put-together for a spring bar crawl or a day out and about around town than a T-shirt. Plus, you could feasibly wear it with a stylish, upgraded baseball cap to a ballgame, too. Oh, and the price — yes indeed, the price is a plus. Keep in mind that you get all this — versatile style, great looks and sustainability — for $68. Considering that you can wear it nearly everywhere — from a spring road trip to a day at the beach — that really is an agreeable going rate. So, whaddya say? Will you be picking up the Wenlock Chambray Shirt? Let me know in the comments or over at The Style Guide Facebook page. Cheers! March 25, 2017 March 25, 2017 by Beau H.
Plenty of exterior pockets, tough specs and handsome looks — your new favorite spring travel bag. If you can believe it, it’s Saturday again — and that means it’s time for another Style Pick of the Week, this one featuring the essential, adventure-ready Bradley Mountain Utility Bag. If you haven’t yet had the chance to travel in style this month — either due to colder-than-expected March weather or a busy season at work (shoutout to all the accountants out there), hopefully this week’s #menswear pick will inspire you to hit the road soon. The Bradley Mountain Utility Bag is an unexpected, unique piece in terms of its design — part oversized tote bag, part durable weekender. That means you can sling it over your shoulder or carry it by your side — seriously, nothing tops a stylish travel bag. And there’s no question we could all use one of those in our rotation. For quick overnight trips or multi-day stays — such as my own February trip to New Haven — there’s nothing I need more than a handsome, tough piece to carry all my favorite gear; if you’re in the same boat, stick with me here. For starters, know that this bag will work if you’ve got a spring break trip upcoming, or just a much-needed weekend getaway. Crucially, you needn’t worry about having enough room to hold each and every piece of your everyday carry — with seven external pockets, the Bradley Mountain Utility Bag might actually boast the most exterior storage of any bag you own. And the rest of the specs? Well, they’re enough to make you want to buy the Bradley Mountain Utility Bag on the spot — maybe. Let’s start with the rugged exterior — yes indeed, the 15oz. Martexin waxed duck canvas exterior on the Bradley Mountain Utility Bag is built to withstand everything, from being tossed around a campsite to being tossed into an overheard bin. Even the custom leather straps and detailing should prove sturdy, made from 9oz. oiled and waxed custom leather. Both those design touches mean the entire bag, from top to bottom, is going to get better the more you use it. Whether you’re dressed in casual, classic everyday spring style for a weekend trip or wearing your new favorite long-sleeve polo on a business trip, the Bradley Mountain Utility Bag is going to move with you in style. Of course, this bag certainly leans more rugged — so if you find yourself needing more refined travel luggage for cross-country jaunts, you might want to pass on picking this one up. With that being said, the Bradley Mountain Utility Bag is so well-made and tough that it just might be an essential, much-needed addition to your everyday carry. What do you think? And where will your own spring travels take you? Let me know via the comments and join us via The Style Guide Facebook page for more great #menswear. Buy the Bradley Mountain Utility Bag now via Huckberry.